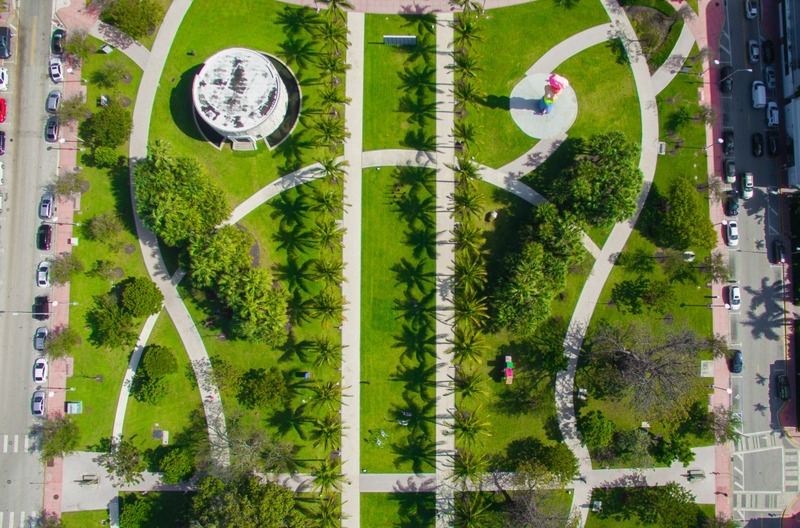 When it comes to art, Miami wears its heart on its sleeve. Go for a drive along the Florida city’s blushing boulevards, and the art deco buildings, in their dreamy pastel hues, will put you in the mood for some world-class art – what better setting could there be? In this guide, we’ll take you through all the artistic must-sees this vibrant and dazzling city has to offer. If you’re here in December, you’ll be able to catch Art Basel – a prestigious, annual art show that showcases and celebrates the very best of contemporary art today. If not, don’t worry, Miami has something to tempt your cultural palate every day of the year. Here’s where you can get your urban art fix in Florida’s most vibrant city. For sensational street art, make for Wynwood Walls – a once run-down area of warehouses transformed into a smorgasbord of creativity. This open-air art gallery showcases world-class graffiti by international artists, using the once-dreary building fronts as a canvas. It was the brainchild of late property guru and creative Tony Goldman, who initiated the transformation in 2009. 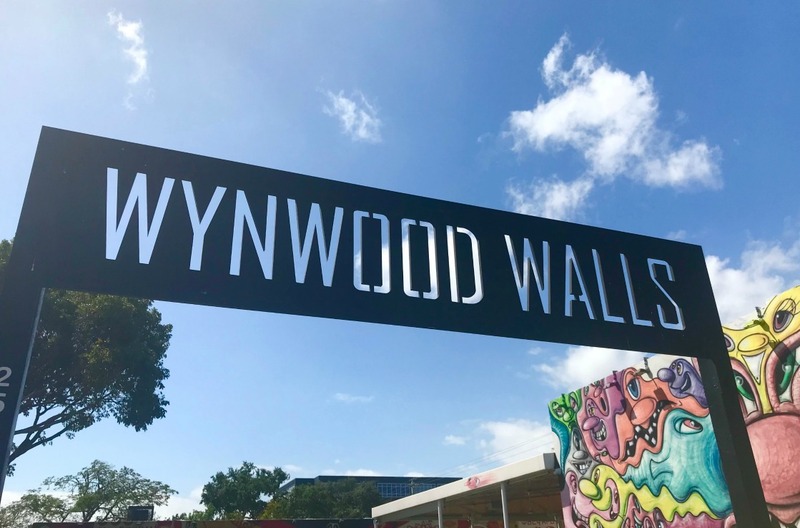 Since then, contemporary stars including Shepard Fairey have come to Miami to make their mark on these walls – not to mention works by 1970s and ‘80s legends such as Phase 2, Futura 2000 and Lady Pink. Perhaps the most playful of Miami’s urban art installations – and a guaranteed hit with the kids – is “Slide Mantra” in Bayfront Park. This sleek playground sculpture was carved from white Carrara marble in 1986 by the late artist Isamu Noguchi. Noguchi wanted children to learn about sculptures by playing on the marble slide, saying that the piece would not be truly complete until they slid down it, giving it a worn, polished finish. In 2005, the installation sustained some damage during Hurricane Wilma, but it was later restored and remains the centrepiece of the park. Unveiled as part of Miami Art Week in 2016, “Miami Mountain” is a multi-coloured installation in Collins Park. Inspired by the thin, towering chimney-like hoodoo rocks found in the American landscape, Ugo Rondinone first created the Seven Magic Mountains near Las Vegas – and then continued his distinctive series in Miami, adding this fluorescent mountain to the urban art trail. Five primary-coloured blocks – each weighing at least 15 tons – are stacked 41 feet high, mirroring the teetering effect that comes from years of natural erosion. Set against the backdrop of Miami’s high-rise centre, the mountain is an iconic attraction that all art-lovers must visit. Miami’s Design District is peppered with countless galleries, as well as curious installations hidden in the folds of the city streets. Chief among these are the Eye Dome by American architect and futurist Buckminster Fuller, the Iraqi-British architect Zaha Hadid’s Elastika and – created in 2013 – Swiss-French artist Xavier Veilhan’s Le Corbusier. A celebration of Veilhan’s life and work, Le Corbusier is a bust that portrays the man himself rising out of the ground, his trusty pen in hand. The polygonal textures are rendered in fibreglass and the effect is an urban installation that encapsulates Miami’s passion for design. There’s even more to discover in this West Coast destination, including exhibitions, monuments and more fascinating installations. Art lovers can explore it all with car hire in Miami.